Thank you for your interest in Piccolino – Exchange Square! 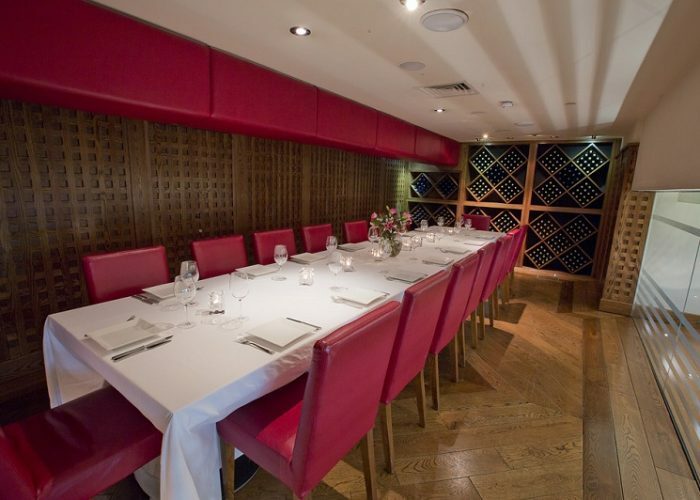 Situated on the mezzanine level of Piccolino, Exchange Square in The City’s Broadgate, the private dining room overlooks the busy restaurant below and provides for up to 24 seated diners or up to 40 standing guests. The private room is fully equipped with a plasma screen and internet access and is the perfect venue for corporate functions and private parties. We are able to provide breakfast, lunch and dinner menus as well as a selection of antipasti and small bites for canapé events.